It has been over 2 years since I first started my journey in Second Life. During my MBA classes, one of our professors talked about virtual worlds in a digital marketing class. The ability and the impact awed me when I was writing a thesis on the same lines. Although, the time has passed and my thesis approved, I still can’t leave the place. Well, this is how I came. What is your story? Debby Sharma: How did you come to know about Second Life when you first joined? Bianca Xavorin: I saw it on the local finance channel. I thought what a great concept to do video. I had all intention to work with machinima but I had to learn the basics first, hence the art. 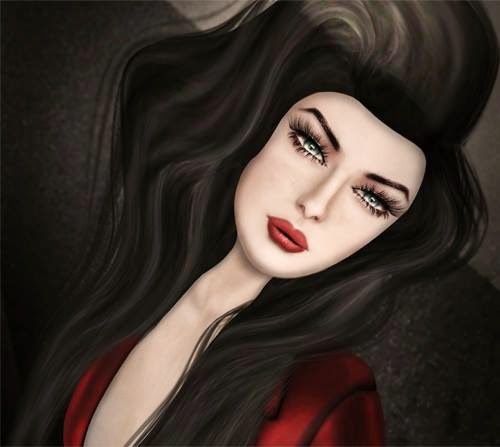 Debby Sharma: What is the most exciting or the funniest moment you had in Second life? Bianca Xavorin: Oh gosh! I might have to think about this one. I think a few years back when there was a glitch. People thought they were wearing clothes, but everyone else saw them naked, I called it (the emperor's new clothes syndrome). 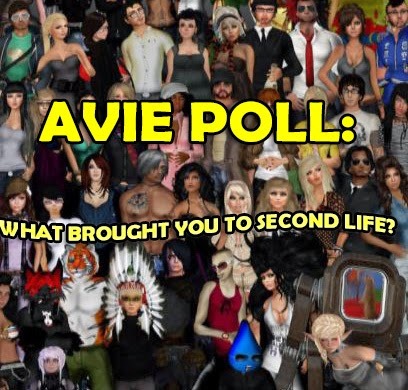 Debby Sharma: How much influence does Second Life have on your real life? 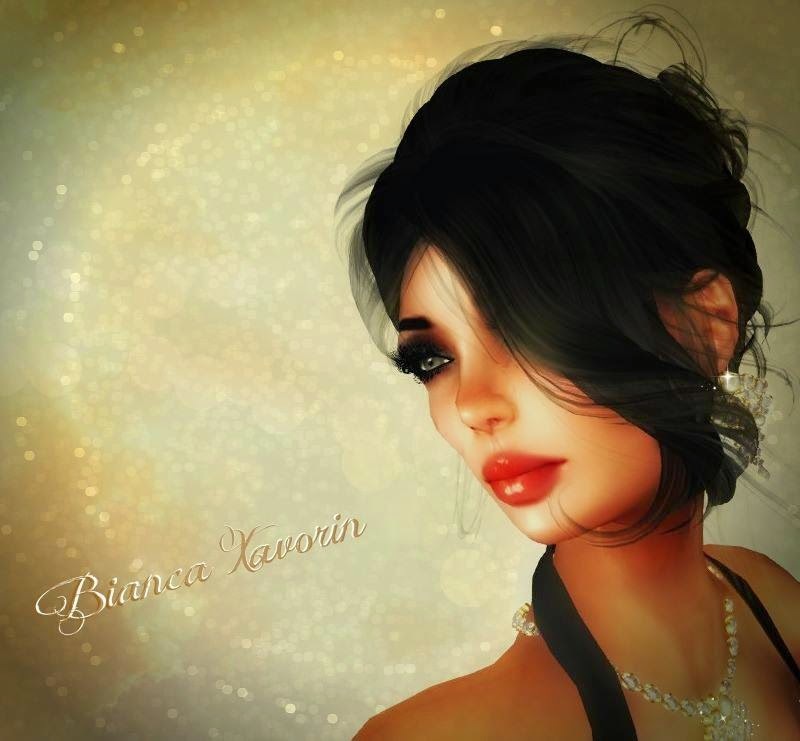 Bianca Xavorin: I was asked in the past two weeks to use my art in an RL exhibit. I was also asked if I would do the illustrations in a book for a published writer. So I would think yes it is influencing RL. Debby Sharma: How many years has it been for you and what inspires you to come back in SL after all these years? Bianca Xavorin: I think 4 years. There are so many things. The people, the people are so wonderful, beautiful inside and out. The fact is that SL makes the world a little smaller, is a gift. My best friend is from Norway. My Partner is from Canada. Most of my SL family is from the UK. There is so much to see and do I could never be bored. Cali Karsin: I came to know about Second Life because my friend told me about it form World of Warcraft, and told me to join it so I could marry my online boyfriend. So you could say, we wanted to enhance our experience together. Cali Karsin: The most exciting one is the one I will choose. The most exciting moment in my Second Life is when I came out with issue one of “Cultured The Magazine”. I wanted to use SL as my playground for my future career, so it meant the world to me and my business partner and I did it! We dealt with so many challenges and obstacles we had to get past together, but we did it. That defining moment in my life when I could say, I did it. I am just a 22 year old college kid in real life, so this profound experience of running the company is the most amazing experience that I am thankful for each and every day. Cali Karsin: Second Life shapes each and every thing in my life as a productive thing that I carry into my RL like career wise, personality wise, hobby wise and entertainment wise. It's a positive influence that I don't know where I would be without. Cali Karsin: 4 years and 9 months. My passion inspires me to come back after all these years. I love writing, journalism, photography, magazines, public relations, marketing, these are the things that have kept me in SL after all this time. Of course, the pixel heels never hurt anyone, I mean come on you can shake it at a club all night and wear 7 inch heels if it pleases you without sore feet. It allows you to have a social life any day of the week when you do not in RL. Indea Vaher: Actually a friend invited me to come to a class on eastern religion that was being held in Second Life. I'd never been in a virtual world before this. Well not religion, I should say mysticism and not religion. Indea Vaher: Wow! Very hard to say there has been so many. The first time I brought my work into sl for a show at “The Catcher in the Pie Café”. I was very nervous because I'd never saw any work like mine in in SL before and wasn't sure how it would be received. It was a big success and I was so excited. Indea Vaher: I think it has a lot of effect; certainty takes up a lot of my free time. Things I could be doing in First Life when I have down time, I put aside to log on. If I didn't put these things aside I would probably never be in sl. Oh you said influence. It has an influence because I think SL absorbs a lot of creative energy and I have to be careful on how much I spend in here. I mean, there has to be a balance. The good influence I think it has helped me to become more daring in the way I dress. Indea Vaher: Six. I love SL, it's an escape for me and each time I've tried to quit I always come back. Second Life is my drug of choice, and I've made so many great friends. Sera Bellic: I was watching the news one night and saw a piece. I was curious so I joined and 7 years later I am still here. Sera Bellic: Second Life has influenced me in a couple of ways. It has taught me to be more open to all cultures, to understand deep down we really are all the same. We hurt, we love, and we laugh all the same. It has also influenced my creative side. Helped me to realize more potential than I ever knew I had. Sera Bellic: 7 years. Hands down the creating, it’s so much cheaper to create in SL then in RL. I should add a small handful of people as well. Alpha Adonis Prime: I used to do video chats. My friends found a place called “rlc”. it was another virtual world but very limited. I was a builder there. Few of my friends told me to expand our horizon. And tada! Second Life, I loved it all. After the initial learning curve, I was diving, riding and was a member of a clan. Few people taught me about avatar styling. I loved the mix and match customization. The challenge to find the individuality of our virtual selves was mind blowing. I felt that if one did not invest in their virtual persona, then it is not worthwhile making friends. What we immerse in, we are accountable for our own actions. And who are not vested in their avatars, can create more chaos with impunity. At least, this is what I observed. Alpha Adonis Prime: At one time, while I was chatting in a mesh body group chat, I was approached for some pointers. I like to be helpful if I can. Well it took a long time to get the right shape and skin to work. Anyways, I asked if we could talk because it takes a lot of effort writing the whole thing again. She agreed saying, “I might sound like a pirate”. When we spoke, we knew that we were two men sitting at the ends. But I am not judging, since I have 2 female mannequins, which I use for makeover. We both thought it was funny. Laughs. Many of my friends think I know way too much about dressing a female avatar than a male one. I blame my real life sisters for not letting me play with their Barbie dolls. Alpha Adonis Prime: I come at nights and weekends. It influences me a lot. It’s a great social outlet. SL is my escape and not my prison. It’s an addition to my real life and not a replacement. It makes us richer. This is true for all who understand the culture of this place, where anything can be possible. Alpha Adonis Prime: I have enjoyed Second Life for over 2 years now. We see a lot in other’ profiles, “sl is sl and rl is rl”. But the reality is different. It’s the people sitting behind their avatars that make it all worth it. It is the few dynamic people that inspires me a lot and helps me come back. Designers, friends, scenery and events all have a hand in pulling me back here. It is the dream that keeps us dreaming.